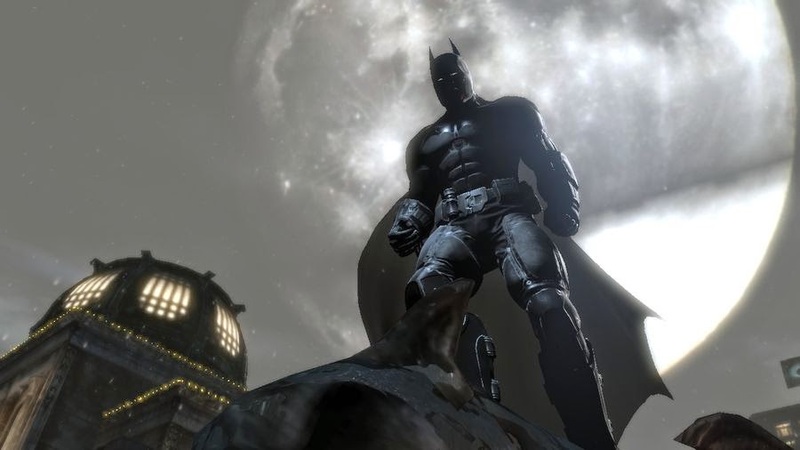 The last review of June has Batman returning to the Wii U with a new developer. It's Batman: Arkham Origins, and here are SuperPhillip Central's thoughts on the game. Batman Begins... You Know... Again. With Rocksteady needing extra development time to get the Batman: Arkham series onto the PlayStation 4 and Xbox One next year with Arkham Knight, the Arkham series was taken up by developed WB Games Montreal. When a well established series is taken over by a new developer, a considerable amount of concern by fans is understandable. Thankfully, WB Games Montreal's project and contribution to the Arkham series, Batman: Arkham Origins, is a fantastic yet flawed entry to the series that successfully can stand in the same circle as Rocksteady's works. Although the Wii U version lacks downloadable content and the multiplayer mode of the other versions, it's still worth looking into for other reasons. 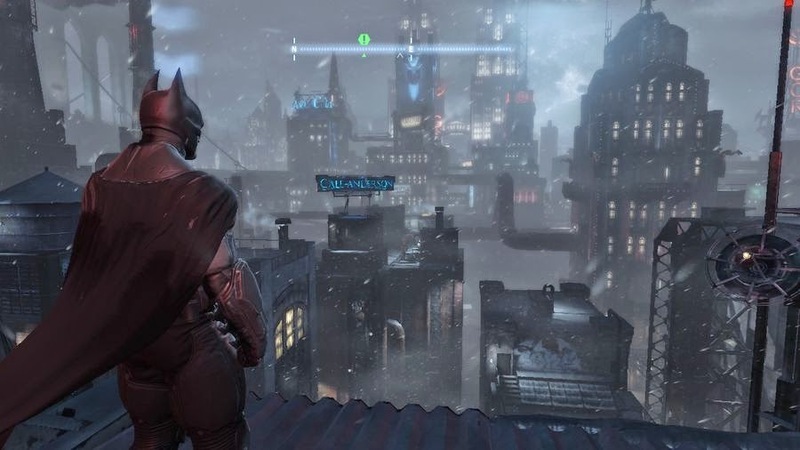 Arkham Origins' story takes place on both Christmas Eve and Christmas Day. Villain Black Mask has put a bounty on Batman for a huge chunk of change, inviting the series's most dangerous assassins to see who can take out the dark knight first and receive the cash reward. While the name of the game might infer ideas of Batman's beginnings, Arkham Origins actually doesn't show the origins of any one character, besides the Joker in a late portion of the game. Instead, Origins involves how Gotham came to be well versed about the dark knight. It delves into how the bitter and oftentimes complex rivalry between Batman and the Joker came to be, as well as how Batman got onto the right side of Commissioner Gordon. (Oh, and how Bruce Wayne and Batman both became more grateful of outside assistance and less of an "I do things my way and without any help" kind of attitude. All in all, the story takes about 14-16 hours to complete, and thatt's not even factoring in all of the side content Arkham Origins contains. The previous Batman game to hit the Wii U was Rocksteady's upgraded port of Batman: Arkham City, which hit the system at its launch. 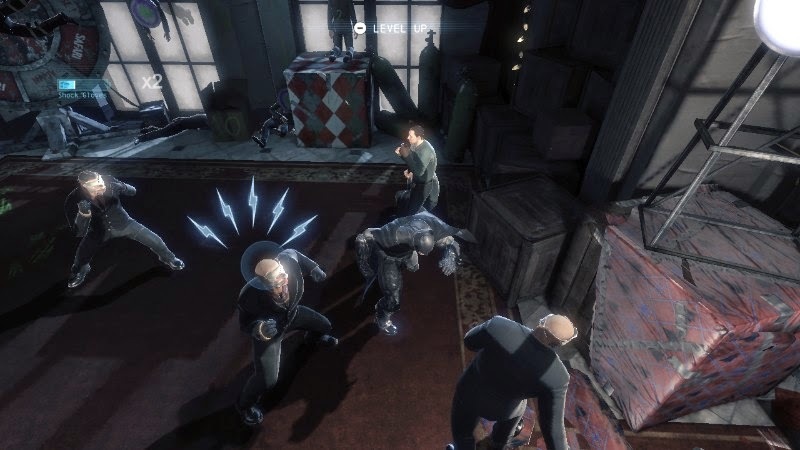 That game featured some haphazard visuals in the form of glitches that took players out of the immersion of Arkham City. While some of the problems in that game have been remedied in Arkham Origins, there's still some pertinent problems that offend the eyes. For instance, there's slowdown on many occasions, outright times in Gotham where the game completely stops mid-exploration, allowing enough time for the city to load, and I had three hard locks within twenty minutes in one particular gaming session. That said, there's also a lot of good in the visuals. Environments have a visual bounty of details in them, from the numerous billboards, signs, trash fluttering around the city streets, steam rising, amazing particle and lighting effects, and even more immense detail within the city itself that Batman will spend the most time in. Gotham has an astonishing amount of detail to it. When you're not following along with the engaging and enjoyable story, Batman: Arkham Origins' open world city setting, where the caped crusader moves, runs, glides, and uses his grappling gun to cut across building rooftops in, has plenty to see and do. As the game progresses, various side missions are accessible. These include disarming Anarky's bombs, destroying Black Mask's containers of drugs, rescuing hostages from various villains like the Mad Hatter and Shiva, as well an Arkham tradition, collecting items of Enigma's, the future Riddler of Gotham City. It's a game that is delightfully non-linear, just like its predecessors. they mean he's about to attack Batman! The latter villain, Enigma, has a multitude of tasks, making for the most involved side mission of them all. He has a plethora of extortion files that he plans to release to the public, thus causing chaos and havoc throughout Gotham. It's up to Batman to gather all 200 extortion data packs that are hidden all around the city, whether they're in the open world city itself or inside areas where missions take place. This is better left for near the end of the game, as most require equipment that Batman won't have access to until he makes enough progress in the story. Thankfully, through roughing up data handlers (i.e. thugs spread around the city) and interrogating them, the locations appear on the player's map. Batman surveys the area for trouble. In addition to data packs, Enigma has taken control of the city's seven radio towers. It's only by taking these back with a mix of brain and brawn that Batman will be able to call in his Batwing for fast travel between these points. While the idea of fast travel is nice, the implementation leaves a little to be desired. There's about a thirty second wait due to loading times in order to traverse between fast travel points. As for personal travel itself, Arkham Origins does little to fix what's been wrong with past games. It's very difficult to glide around Gotham with strict precision, and sometimes this does nothing but aggravate. This is especially noticeable when trying to land on or into certain areas of the open world, such as when trying to go for one of the aforementioned data packs. I had it on one occasion where I was getting extremely frustrated trying to glide into the inside of an elevated storage container. Batman would hit just outside the zone for entry, having him fall all the way to the ground to my incredible dismay. It doesn't help that Batman also leaps off walls he comes in contact with when gliding, making precision important yet at the same time almost impossible to pull off in this game. I never felt fully in control while gliding. However, something where precision shines is the Arkham series' signature combat, and it works wonderfully in Arkham Origins as well. The combat consists of chaining punches, kicks, counters, and evasions between a swath of lowly street thugs and henchmen. You can throw in some gadgets into combat to fully utilize Batman's arsenal. Sure, you can just jam and mash on the attack button while hitting the counter button when a foe is about to attack Batman, but through actually being graceful with the free flow combat system, you earn more experience, you deal more damage, and you thus make exchanges look awesome and take less time. It also allows players to see just how many different ways and approaches they can take to each battle and group of goons. can think about touching Batman. Experience is earned through an assortment of means in Arkham Origins, and they're used to upgrade Batman as a whole. Whether it's making him less susceptible to direct attacks or gunfire, to improving the range and usefulness of his acquired gadgetry and combat abilities, Batman can become an even bigger force to be reckoned with than he already is at the beginning of the game. Talk to the fist, because the cowl don't understand. 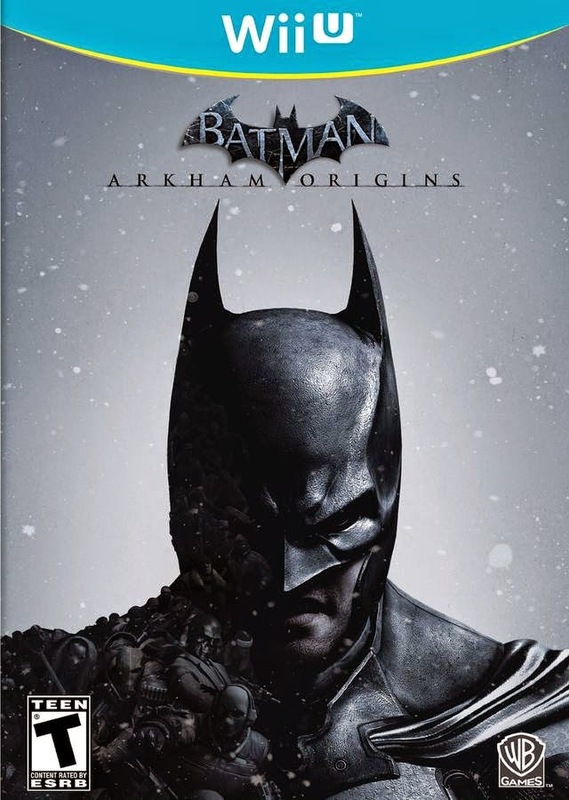 While a lot of Batman: Arkham Origins uses the majority of the same pages out of the playbook that Rocksteady wrote and used, WB Games Montreal added some new tricks to the Arkham series. The most notable is the addition of crime scenes. These have Batman going all CSI (but without the lame puns, overwrought plots, and worthless guest stars), having the player use the GamePad to scan special points on said crime scene to investigate what happened at these sites. Unfortunately, these offer no means of non-linear investigation, as you have to scan one point followed by another, then another, etc. in a specific order. I personally would have rather seen Batman investigate on his own in a cutscene than need to participate in these interactive investigations. 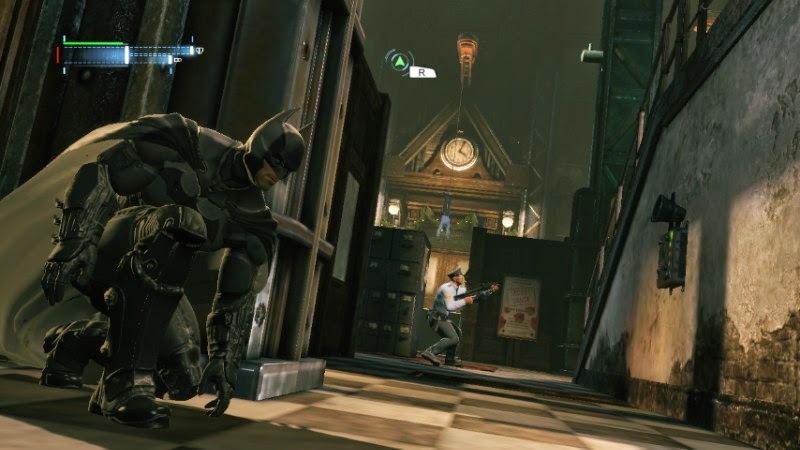 Outside of crime scenes, the GamePad is used as a map for players inside areas and outside in Gotham. 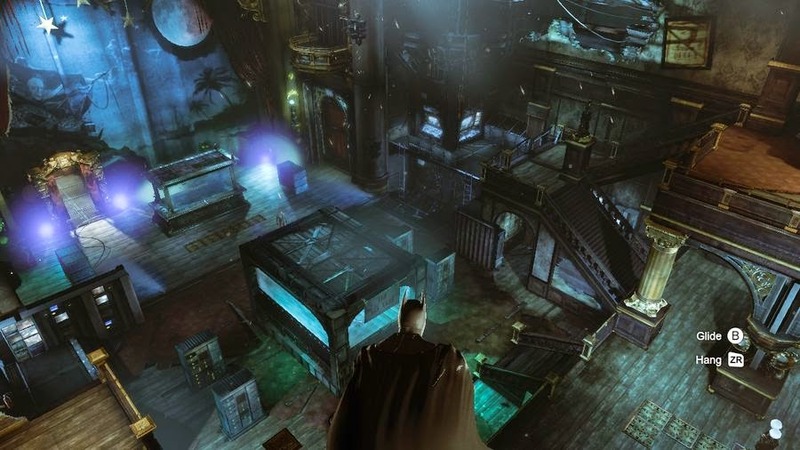 This is a downgrade compared to what Arkham City - Armored Edition offered back at launch, but it's still nice to have a map to simply have to glance down at rather than pause the game and bring up the map like other platform versions require. This is especially useful when gliding around Gotham to various points of interest. You can just look at the GamePad screen and make adjustments to your path from there instead of pausing the game, going to the map, saying "Okay, I'm a little TOO south", then unpausing the game to make corrections to your path, pausing again, and then saying "Oh, crap. Now I'm too far north. Better pause the game to look at the map again!" 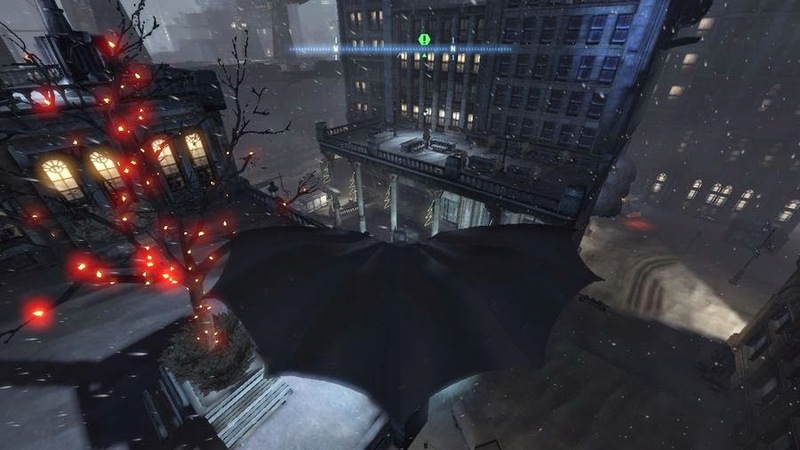 Batman: Arkham Origins offers players the Arkham series's first ability to enter the famous Batcave. 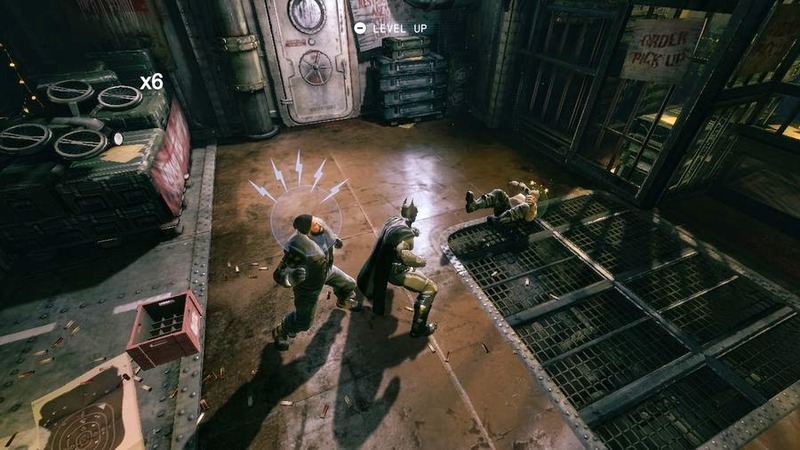 It's there that Batman returns to obtain the occasional new gadget, chitchat with Alfred, or engage in a number of training challenges to go along with the game's challenging and optional combat and predator challenges. These award the player with an amount of points and ranking pending on their skill in each challenge of taking out a room full of foes either with pure muscle and reflexes or pure stealth. Batman: Arkham Origins may not be receiving the DLC that it was originally going to get, nor does it have the rather useless multiplayer mode of the other console versions (which honestly was a throwaway mode anyhow), but the Wii U version is very worthy of looking into. 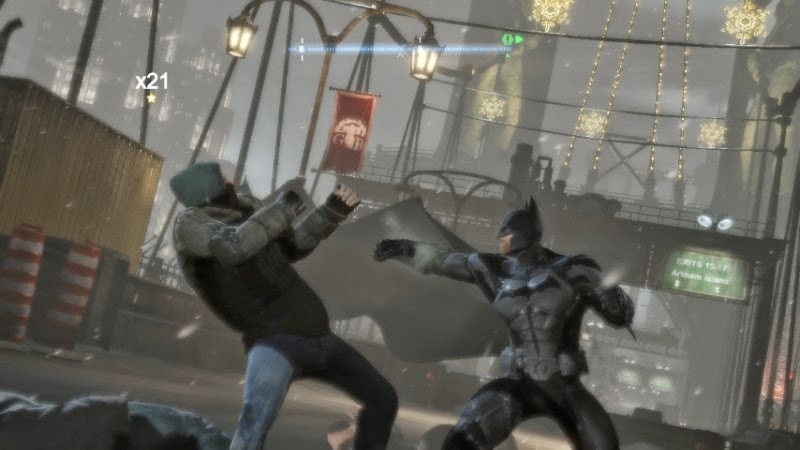 Even for someone who does not care for masked marauders, superheroes, or Batman himself, there's enough great combat, action, and adventure to make Arkham Origins a nice pickup for any Wii U owner that many will want to be the bat for. Mario Kart 8 has been out for almost a month now, so I think it's been long enough to wrestle in my mind which new tracks from the game I love the most and the least. Even after racing on all sixteen tracks over and over, the decision on how to order these races never really became easy, save for a token amount of tracks. Regardless, I finally came to a conclusion on how each track should rank on this special Mario Kart 8-centric edition of Rank Up! What is Rank Up! you ask? It's where a member of staff here orders a selection of items from least greatest to greatest. While we ordinarily dabble in entries of franchises, this is a special occasion for a truly special game. There really are no Mario Kart 8 tracks that I absolutely abhor or even dislike, for that matter. Therefore, Bone-Dry Dunes being the first track on this countdown doesn't make it a poor track by an stretch of the imagination. 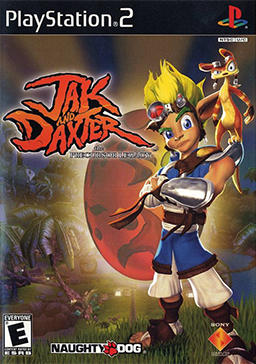 Full of twists, curves, mounds, sandships full of Toads that toss coins onto the track near the beginning turns of the race, multiple divided paths that meet back into each other before dividing apart once more, a cool anti-gravity section that allows you to ride on the wall of bones, and a glider section that puts players into a cavern being guarded by a giant Dry Bowser skull, Bone-Dry Dunes is one of the more difficult tracks of the Special Cup, especially those last turns! Who needs to wait in a line for the log flume when the entire track is a heck of a ride all on its own! 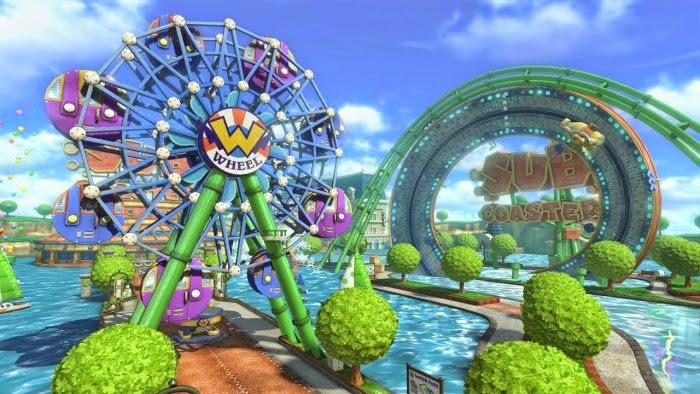 Water Park is the second track of the Mushroom Cup in Mario Kart 8. It features an anti-gravity section that has racers speeding along the Sub Coaster attraction, even using the occasional roller coaster car to get a boost of speed off of. 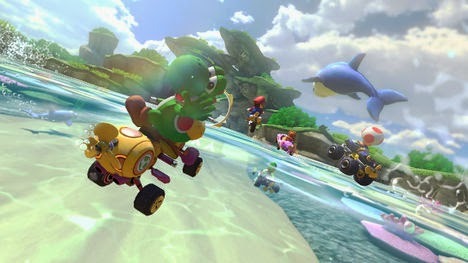 Once racers head underwater for the second time during a given lap, with a Mushroom they can jet through the underwater carousel, successfully skipping a turn of the track. Then it's just a gliding section past a tall Wario-themed Ferris Wheel to return to the starting line for the next lap or the end of the race. A track coated in so much sugar that just racing on it could give a racer cavities, Sweet Sweet Canyon is a confectionery-themed race that has racers drifting around large cakes, blasting across a sugary sweet ocean, and deciding between taking either the pink or light blue paths. Regardless of the choice, the paths are the same length, only mirroring one another. 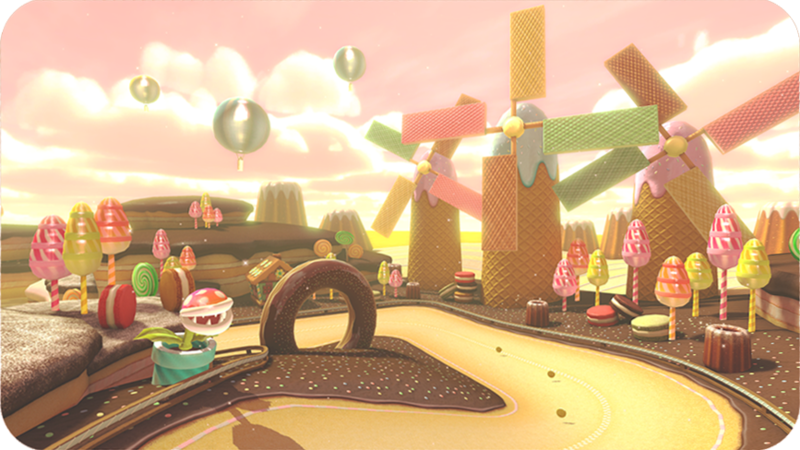 With the use of a Mushroom and well-executed drift, a racer can speed across some chocolate frosting, through a doughnut's hole, and arrive back on the track in order to shave some seconds off their final time. Just watch out for Piranha Plants near the end who must have it like torture to see so much sweet creamy goodness around them, yet they're forced to stay in their pipes! It has a fantastic saxophone-based theme, it has beautiful sparkling waters, and it has inviting shores where the dolphins from Super Mario World hop through hoops. What isn't there to love about Dolphin Shoals? My issue with this track is just how hard it is to build any kind of lead. The track is extremely narrow for Mario Kart 8 standards at many places, particularly near the beginning turn into the submerged cave full of pipes as well as the loop that takes place after racers finally emerge from the water. 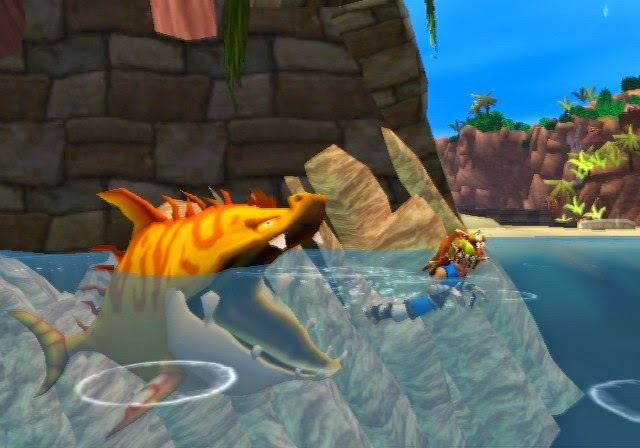 Still, Dolphin Shoals is a blast to play, offering a ride on Unagi the Eel from Super Mario 64, multiple routes through the submerged cave that precedes said eel, and hardly ever a dull moment. 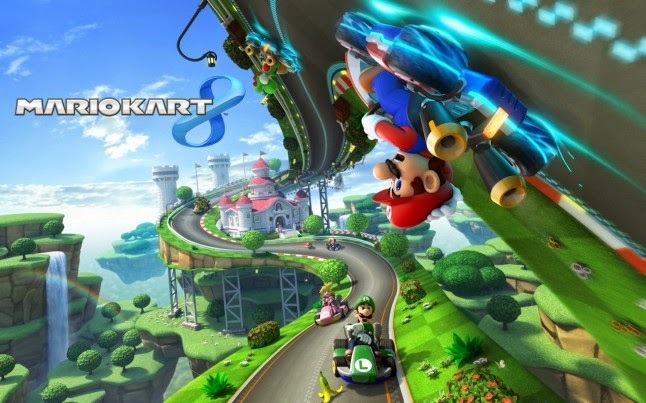 The first track of Mario Kart 8 and the first time Mario Kart itself has ever had a track devoted to the series, Mario Kart Stadium is a fantastic way to kick off the game and racing festivities. Being a beginner course, Mario Kart Stadium features multiple wide and easy turns so it's very difficult to careen off-course. From the starting hairpin turn, where taking the outside allows you to speed along some boost pads, to the ending glider segment, where an assault on you while in the air can make or break a race, Mario Kart Stadium is a glorious starter track. Seeing the stars sparkle above you and the crowd upside-down during the anti-gravity segment makes for an unforgettable first impression. 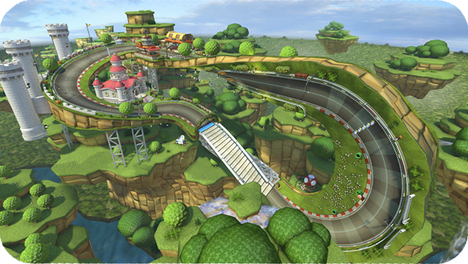 The third and final race that was in the E3 2013 demo build of Mario Kart 8, Twisted Mansion juxtaposes the settings of the Flower Cup races before and after it quite well. With its slow opening of its creaking mansion doors at the start of every race to its twisted pathways, submerged section full of fear-inducing bonefish, and outdoor courtyard home to two unpleasant Boos, Twisted Mansion fits the part of a spooky ghost house splendidly. 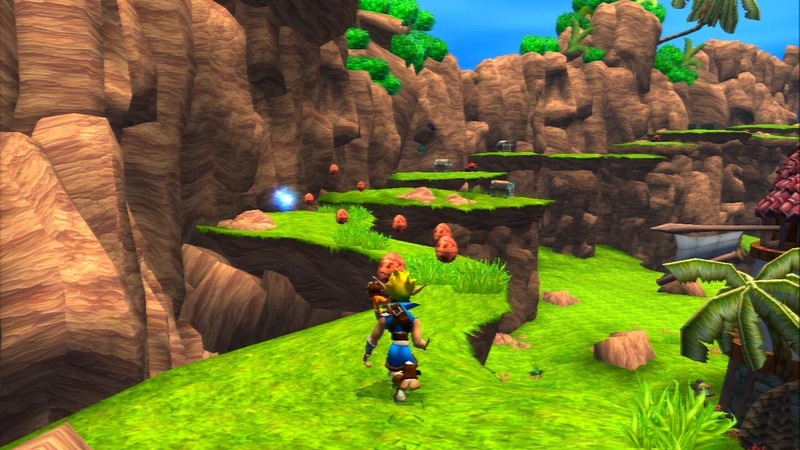 The track has two major shortcut locations, both of which require Mushrooms to fully take advantage of each. The one allows for racers to cut across the inside of the first major turn in the mansion, while the other grants permission to cut across the lawn leading to the finish line. Twisted Mansion is one spooky setting, and it's a rather enjoyable race to "boo"-t as well. There are far worse Rainbow Road tracks in Mario Kart history, but there's also far better ones too. 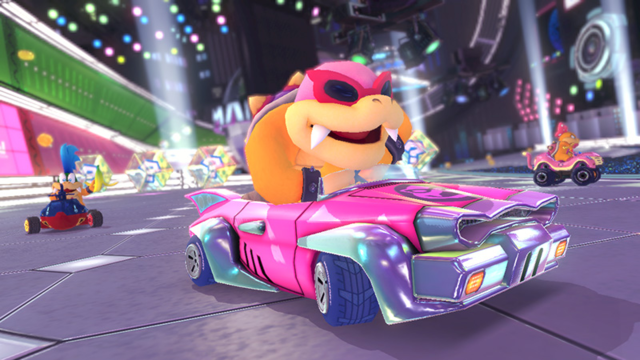 Rainbow Road in Mario Kart 8 is one that is higher on the list of great final Mario Kart tracks, but it doesn't have what it takes to be the very best, like no Rainbow Road ever was. Ahem. 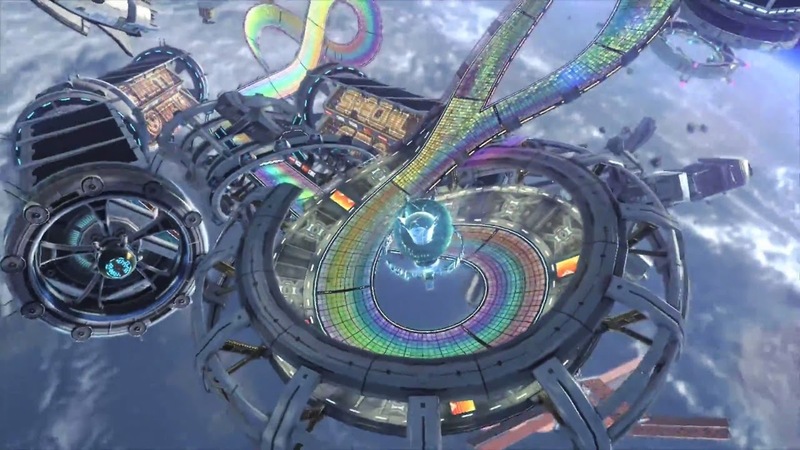 Set in and around a space station, Mario Kart 8's Rainbow Road features multiple perilous twists and turns that require heavy skill to overcome. It doesn't help that most of the turns and pieces of track completely lack railing, so for beginning racers, be prepared to fall off Rainbow Road. A. Lot. Racing inside the center space station has two revolving pieces of track that alternate directions each lap. Picking the right piece to race on separates the men from the boys (or the women from the girls in other cases!). The final half of track takes place on two paths that weave across and under one another. Unlike most other split path choices in Mario Kart 8, these paths are not identical or even mirror images of one another. Mario Kart 8's Rainbow Road offers a tense ride from beginning to end, but ban me to Mario Kart DS's Rainbow Road if it's not fun. 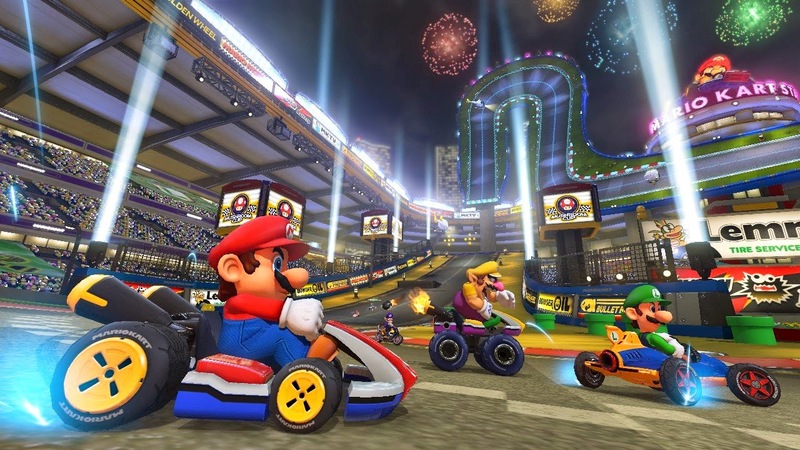 The first track unveiled in Mario Kart 8, Mario Circuit is a racer's welcome to the Flower Cup. 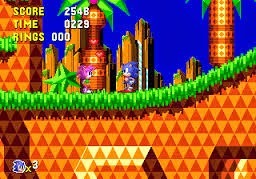 The track itself is pure Mobius strip that weaves in and out familiar sights like hills from the Super Mario Bros. series and Princess Peach's castle. It's a perfect showing of exactly how cool and wicked the track design of Mario Kart 8 has become compared to past games. This track proved to me just how special even a simple concept like a Mobius strip could be made into a marvelous course to race on. Mario enemy standbys like Goombas and Piranha Plants litter the course to trip up unassuming players, but other than that, Mario Circuit is a relatively safe ride. Have yourself a race and a rave all at the same time with Electrodrome's groovy raceway. Candy for your eyes, Electrodrome's bright flashy colors and giant glistening disco ball make sure that racers are having a party regardless of whether they're in first place, dead last, or somewhere in between. 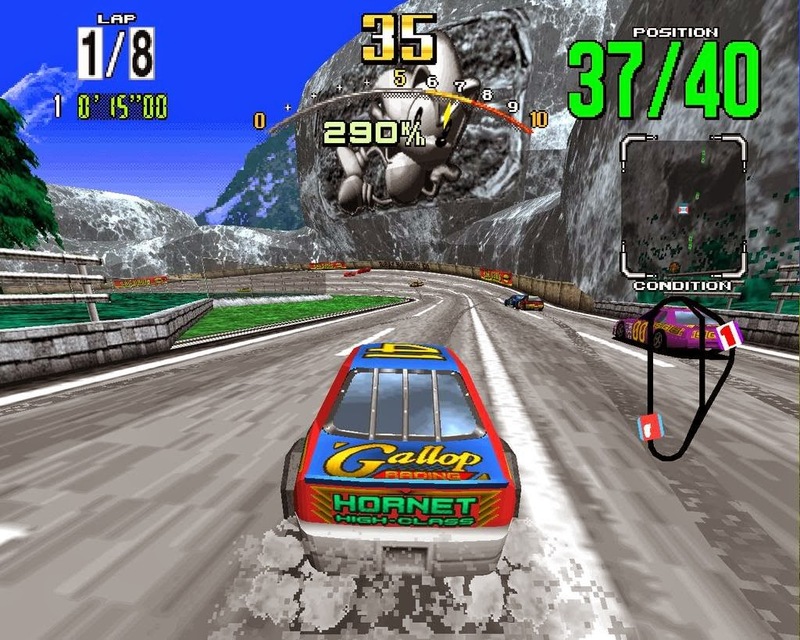 The track features two separate gliding areas, one at the beginning and one near the end of the race; it possesses a choice between split paths that ride over one another as if they were mirror images; and there's some particularly funky music playing all the while this is going on. It all adds up to a track that is a feast for the eyes and a joy to drive on! 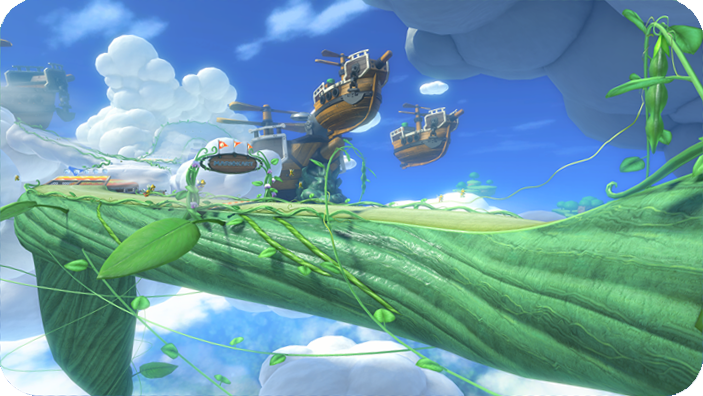 The first race of the Special Cup takes players on a sky high ride through and on top of clouds. Innocently enough the race begins with some wide turns on top of a lanky cloud pathway. 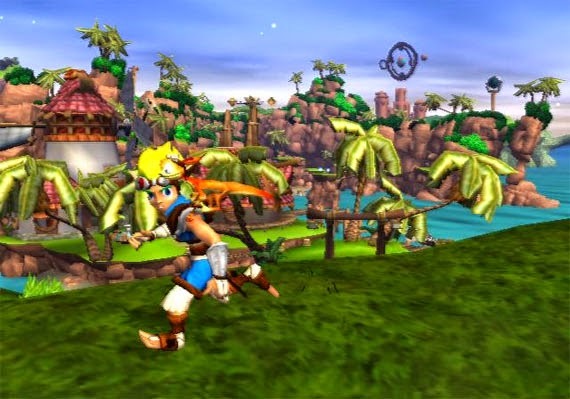 Players can use various jumps and ledges to trick off of to gain some speed. The sole airship that players race upon gives a choice of going on the longer left side or the much narrower but shorter right side. From there, the sides converge and racers get shot out of a cannon through the clouds. Here, racers are now inside a massive storm cloud, which threatens to shock players with lightning bolts that blast the various boost pads inside. Once this section has been cleared, players glide into more forgiving skies onto a beanstalk where one final choice is offered: either take the longer and safer left path or cut across two leaves over a pit below to make a death-defying shortcut. Cloudtop Cruise is a beauty of a course that feels, looks, and plays the part of something epic. This was the track of Mario Kart 8 preview trailers that revealed the names of plenty of other tracks within the game. Thank you, observant watchers for that information! Sunshine Airport is a tropical destination that features racers crossing under the legs of an airplane, gliding in the air while giant planes cross over, and making precise turns to shave off as many seconds as possible. 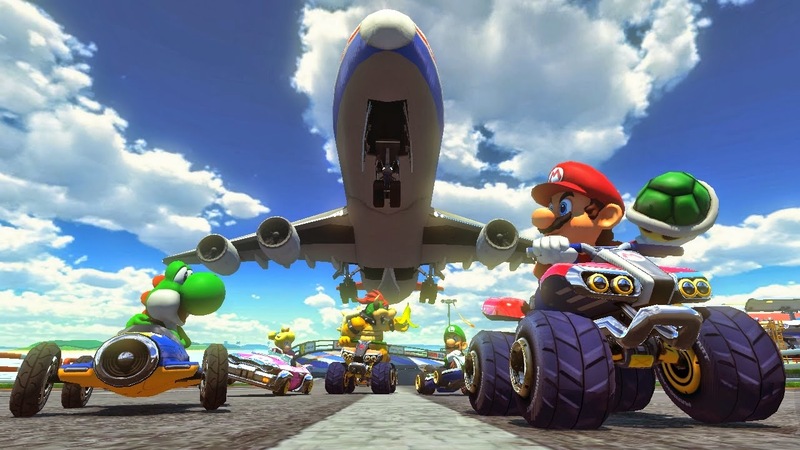 The attention to detail is massive, such as the murmuring of the PA in the airport terminal itself, the numerous planes having markings of Mushroom Kingdom-related companies on them, and there's even something that appears to be Mario Kart 64's Koopa Troopa Beach in the distance during the final gliding section of the race. It's inviting, it's engaging to race on, and there's enough variety to keep each and every lap feeling fun and fresh, Sunshine Airport is my second favorite Star Cup track in Mario Kart 8. A race where you ride up the side of a gushing waterfall and then make a quick hairpin turn and ride down the side of another waterfall? That's just pure awesomeness in my book, no matter how I try to slice it. 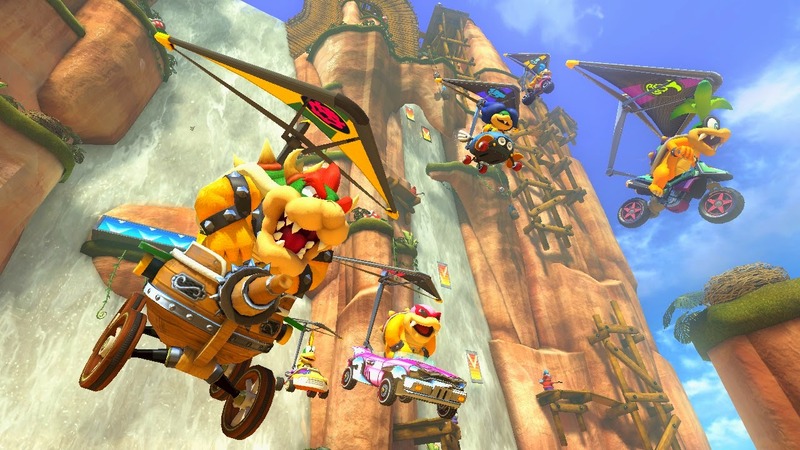 This is another race in Mario Kart 8 that turns racers upside-down, sideways, frontways, backways, and under-ways! I'm slipping into Willy Wonka speak here. I apologize for that. Regardless, Shy Guy Falls is not just one of the more visually appealing tracks in Mario Kart 8, but it's such a darn pleasure to race on. The track's two shortcuts, one after the track's sole gliding section and one that's relatively hidden that requires a Mushroom, both allow for some precious second-shaving fun. All that and then you have those adorable Shy Guys working hard mining ore from the side of the mountains? Oh, yeah. That's freaking fantastic! 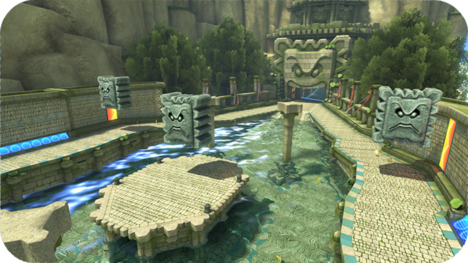 Although it's the just the final race of the Mushroom Cup, Thwomp Ruins is a great track set in an ancient temple. The first lap is inconspicuous enough, but on the second lap, stone wheels start traveling down the inside of the temple and aren't very shy about running racers foolish enough to challenge them over. 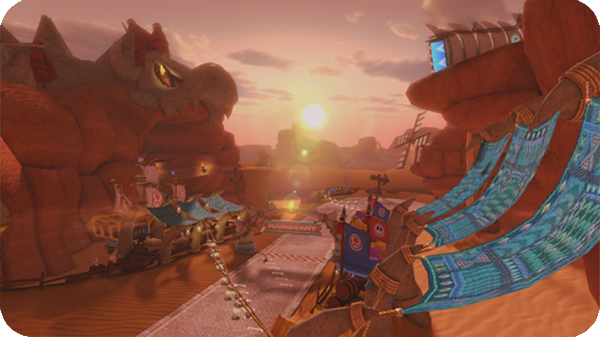 The first piece of track within the temple offers an anti-gravity path on the wall to race on to avoid the wheels completely, but the ordinary track that curves on a downward slope is the faster way to go. Once past this first inside portion of Thwomp Ruins, there are multitude of routes to travel in the outdoor courtyard. From the second lap onward, a ramp in center allows racers to glide off to catch some big air. There's also an underwater pool that can be traversed, or you can take the sides of the courtyard, either on the ground or wall. Just watch out for the titular Thwomps that litter the track and have no fear of crushing unassuming drivers. The last part of the race offers a daredevil shortcut across a narrow sliver of track surrounded by a bottomless pit. Crossing this saves some time, but falling does the opposite. A final gliding section concludes this awesome ancient track. 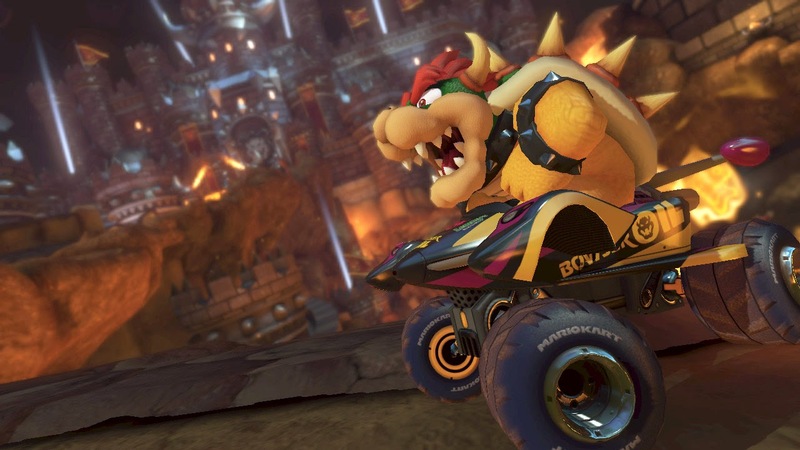 While I am a lover of both the Nintendo 64 and GameCube Bowser's Castle tracks, Mario Kart 8's twisted and hazard-filled iteration of this long-standing traditional track certainly rivals my faves. 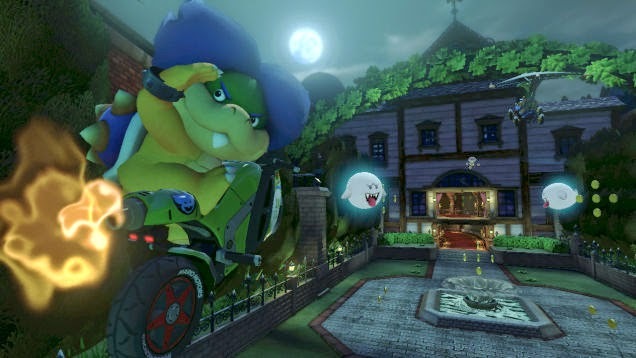 Right away from the starting line, as racers rev their engines and countdown to begin racing ticks down, the gate of Bowser's Castle creaks open. It's a small touch but an awesome one simultaneously. Bowser's Castle in Mario Kart 8 has so many moments where you're wondering which way is up as you avoid the laser beams shot out from the eyes of the beginning straightaway's Bowser statues, tear through the crooked hallways of the castle, and come face to face with a gigantic molten Bowser statue which pummels both choices of paths at steady intervals. Bowser's Castle in Mario Kart 8 rocks, and I'm not just talking about the song that accompanies this fantastic race either! I'm a sucker for street-based, city-themed tracks. It's no wonder why one of my favorite Mario Kart tracks of all time is Mario Kart DS's Delfino Square. 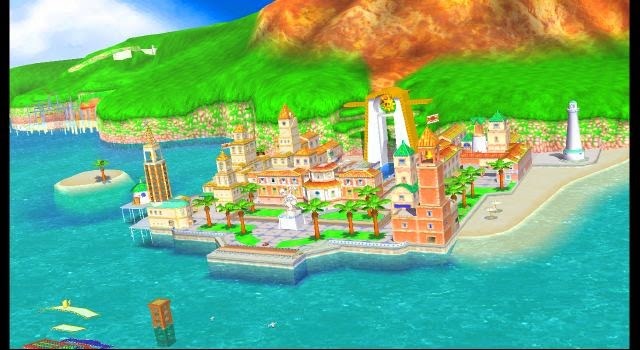 However, I think I've found a new city track to take the crown from old Delfino Square, Toad Harbor. This San Francisco-inspired track is full of uphill and downhill street-racing, it has its own supply of streetcar trolleys, a beginning marketplace where weaving through awning poles, barrels, crates, and more is the best solution, and at least four sections of track that offer a choice of paths. 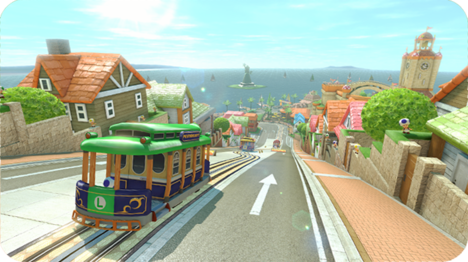 Whether it's taking the seaside route for a quick shortcut across a docked boat or crossing the beginning bridge, or it's riding on the wall or continuing on the street, Toad Harbor is a terrifically designed track that still amazes, even close to a year after its initial reveal at E3 2013. 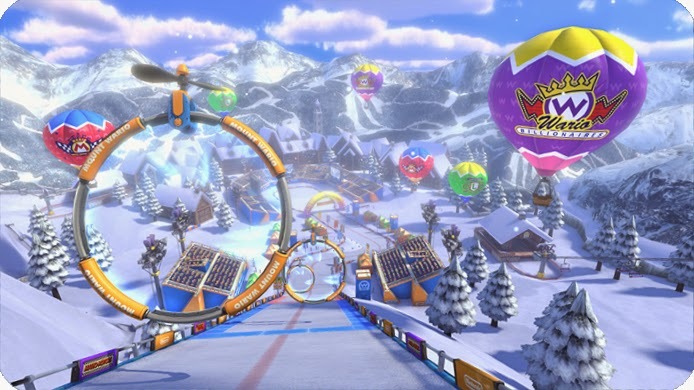 The only all-new Mario Kart track that is split up into three sections rather than being a circuit-style track of three laps, Mount Wario is my favorite new track in Mario Kart 8. You start in truly extreme sport fashion, driving out from the inside of a plane onto the summit of the mountain. You lean into the snowy and then icy curves of the mountainous road as you move down the mountain ever so slowly. The second part of the track takes place in multiple settings: 1) inside a cavernous setting where you can glide or ride down a cascading waterfall, using the rocks to keep your flight pattern continuing, 2) on the side of a dam where water and boost pads careen downward. With proper timing, you can hit the boosts without falling into the water to your left, and 3) inside a forest, weaving in and out of the way of snow-covered trees, and tricking off of logs in the process. The final part of Mount Wario has you playing like a slalom skier, drifting downhill before coming off a glide strip towards the finish line, where thousands of screaming fans cheer you on. Which Mario Kart 8 tracks are your favorites? Least favorites? Let us know in the comments section below! Some of you might think that the so-called "summer solstice" is the real beginning of summer. No, no, no. You've actually got it all wrong. The official start of summer begins with this edition of SuperPhillip Central's Favorite VGMs. We've got music from Sonic CD, Super Mario Sunshine, and Daytona USA to kick off your summer season right! While we generally enjoy the North American Sonic CD soundtrack, Palmtree Panic Zone's Japanese and European theme version of the present iteration of the zone outshines its North American counterpart. It's a very jovial theme with plenty of summertime vibes in it to make for a satisfying sound! Listed as our favorite game hub way back when, Super Mario Sunshine's Delfino Plaza is the perfect gaming overworld. It's both compact and dense with things to do. Getting the area's numerous secret stars is like enjoying multiple side quests while glistening in the tropical sun of the plaza. This guitar-based theme from Koji Kondo is perfect for the glorious sun-baked setting of Delfino Plaza. A song synonymous with action-packed, skill-based drifting fun, Daytona USA is an arcade series that conjures up thoughts of racing down the sun-soaked tracks of the series. This trademark vocal theme of the series may seem corny to some, but to us it symbolizes summertime and racing awesomeness. 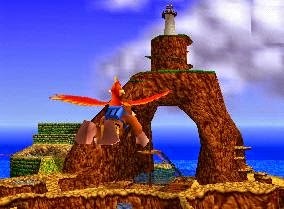 The second world of Phil's favorite 3D platformer Banjo-Kazooie is none other than the sandy shores of Treasure Trove Cove. 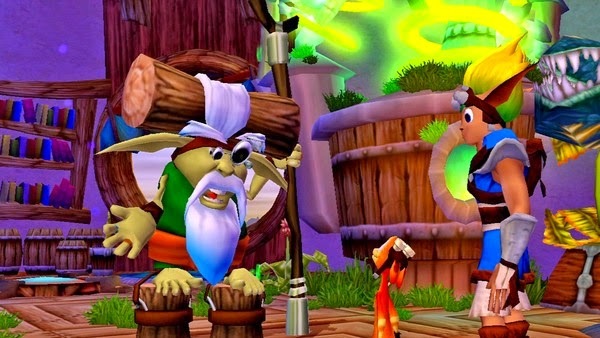 Packed to the brim with activities to partake in, whether it's taking down a giant crab, plundering a ship, entering a sand castle, or venturing to the top of the cove where a lighthouse rests, Treasure Trove Cove's greatness is further improved by this fantastic track. 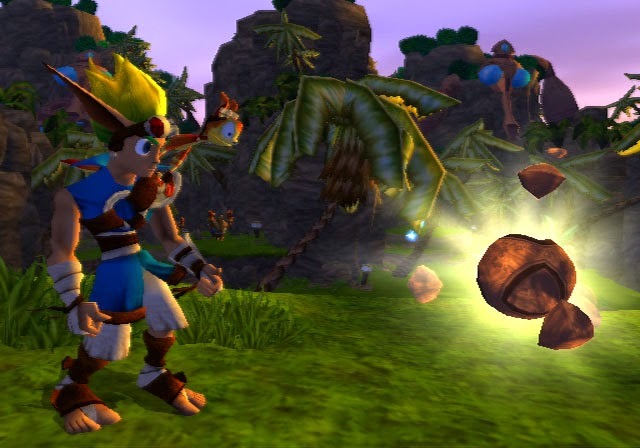 Listed as one of SuperPhillip Central's Top Ten Summer Vacation Video Game Destinations a while back, Ratchet & Clank's Pokitaru - Jowai Resort is a bright and sunny level. It would be perfect if it weren't for all those tenacious little spiked creatures that want nothing more than to use Ratchet as a pin cushion. Ratchet & Clank is one of our favorite PlayStation franchises. 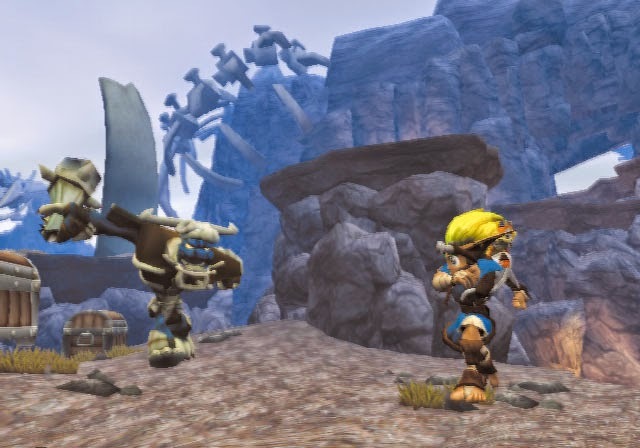 Although the series isn't at its once high levels of quality, we're sure that the PlayStation 4 will do wonders for Ratchet and his robo buddy!